There are times in your life when you find yourself pondering basic general knowledge questions and your gaps in information. So, if you’ve passed through education and still find yourself asking “Where’s your liver?” or “What beats a full house in poker?” and are too embarrassed to ask, this book can help. 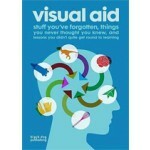 Visual Aid provides the answers to the little questions in life in a simple colourful and engaging way. 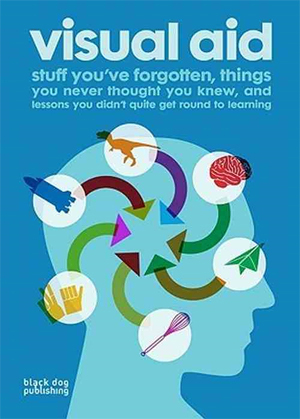 Included are: colour wheels, universal flags, star constellations, correct tablesettings, how reflexology works, the Italian wine regions, how to tie a knot, how to use chopsticks, sign language, morse code and many more. This eclectic collection of illustrations and diagrams will get you up to speed on life's basics, without the need for extensive reading—or even your utmost attention. In a small, handy format this accessible guide is perfect for anyone with an interest in visual stimuli or a thirst for general knowledge.